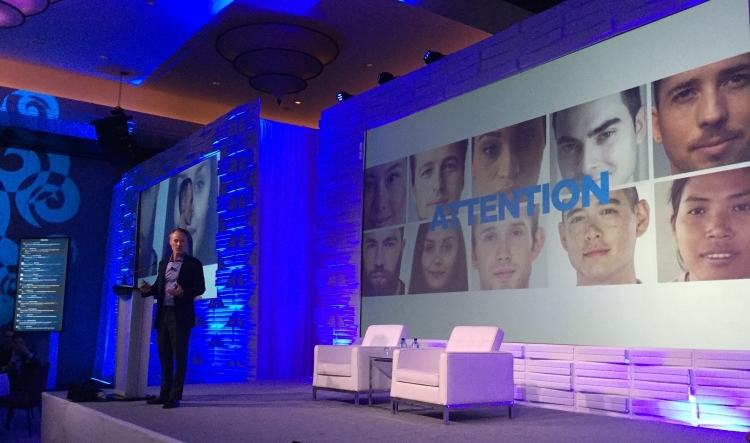 Strategies for differentiating their premium news and entertainment companies in an environment of disruption, trust issues, and monetization challenges were the focus of the annual closed-door members-only Digital Content Next (DCN) Summit held Feb. 8-9 in Miami, Florida. DCN CEO Jason Kint updated attendees on consumer privacy, net neutrality, and press freedom policy initiatives. He said that pressure on platforms will increase this year and that advertisers will seek greater transparency. Kint cited findings from DCN’s new Distributed Content Revenue Benchmark Report, which found that publishers only garner 5% of their revenue from social platforms. However, he also touched upon the growth in paid content, on-demand video, and promising signs of sustainable advertising models. For the digital media industry, Trust has reached a crisis level, Kint said. He and other speakers throughout the event pointed to the 2018 Edelman Trust Barometer, which reveals a low consumer perception of the media, platforms, and advertisers—particularly around digital. An absence of trust has been a driving factor toward regulatory scrutiny in the U.S. and abroad. It has also profoundly affected digital advertising, one of the mainstays of the industry. Kint applauded DCN members for embracing DCN’s new tool for rebuilding trust: TrustX. The cooperative private programmatic marketplace serves as a collaboration platform for marketers and publishers to create innovative advertising solutions that drive measurable value and improve the consumer experience with confidence and safety at scale. Kint was far from alone in extolling the importance of trust in the digital content marketplace, however. Fatemeh Khatibloo, principal analyst at Forrester Research cited the building blocks for trust, which include integrity, competence, transparency, privacy, and data security. David Sable, Global Chief Executive Officer, Y&R, noted that trusted brands employ honesty, environmental sustainability, and kindness. He also pointed out that millennials are keen to identify trusted news sources. Building trust starts early, according to Sean Cohen, president, International and Digital Media, A+E Networks, citing how brands such as the History Channel have become a trusted source for students. 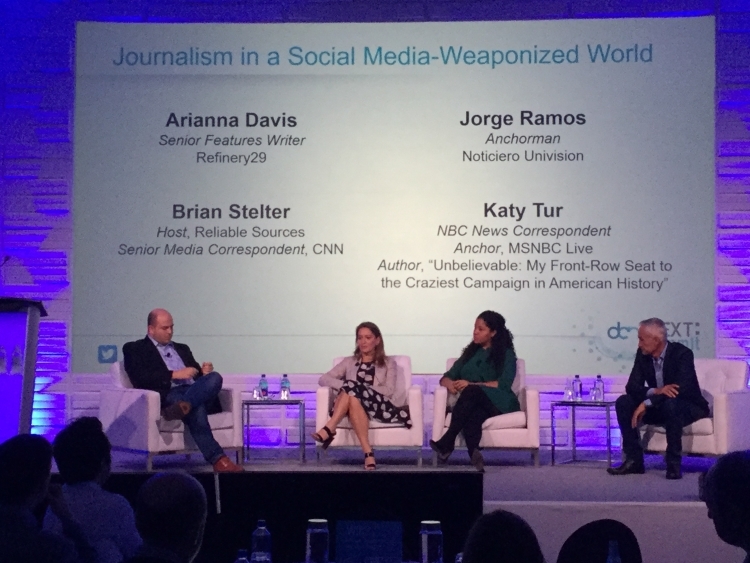 While Edelman’s barometer noted a five-point jump in trust of journalists, a social media-weaponized world has given way to readers and viewers expressing anger, often anonymously and without consequences, as vividly reported by a panel of journalists— Arianna Davis of Refinery29, Jorge Ramos of Noticiero Univision, CNN’s Brian Stelter, and Katy Tur of MSNBC Live. People won’t pay for brands that don’t focus on quality, noted Andrew Essex, former CEO of Tribeca Enterprises and Droga5 [pictured, top]. Quartz President and Publisher Jay Lauf also emphasized value-based selling over commodified volume selling. Context is critical, he said, adding that marketers “are terrified” about ads appearing on an exploitive YouTube video or inadvertently funding fake news on Facebook. And Hearts & Science research on negative reach confirms advertising appearing next to content a consumer finds offensive does more harm than good according to the agency’s president Zak Treuhaft. And, in a world dominated by memes and disembodied news delivered via social platforms, “Context is king,” according to Sean Cohan, President, International and Digital Media, A+E Networks. For example, he pointed to the History brand’s increased emphasis on providing a larger historical context for today’s news, such as the history of sports figures’ involvement in political protests. Disruption has led to a competitive marketplace imbalance as DCN member companies try to transform their business models, as Kint noted. At the same time, disruptive technologies, such as voice assistants, can create significant opportunities. Loren Mayor, COO, NPR, spoke of the station’s mission to connect with people through storytelling journalism and is using on-demand audio and podcasting to enhance audience growth and engagement. Smarter use of data and respectful personalization were subjects that came up in a number of conversations and presentations. More-informed data will help drive value, according to Lou Paskalis, SVP, Enterprise Media Planning, Investment and Measurement Executive, Bank of America Merrill Lynch. 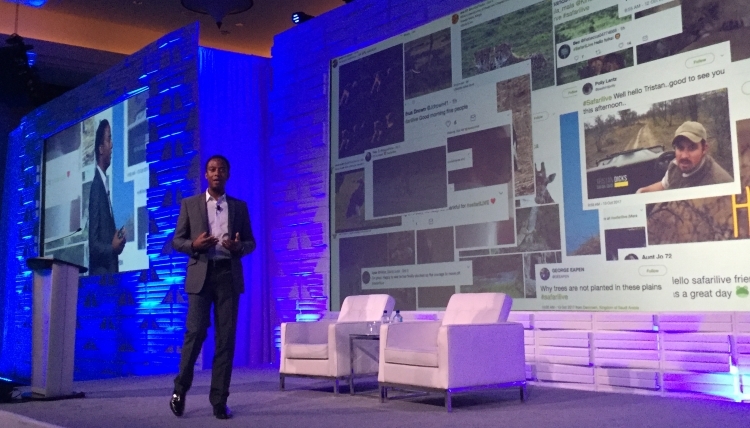 Marcus East, EVP, Product & Technology/CTO, National Geographic, said that successful brands create personalized experiences and help consumers save time and money, create emotional connections, offer life-changing elements, and promote positive social impact. That said, in today’s uncertain digital environment, the hallmarks of reputable journalism have reemerged as critical for consumer trust and attention. Michael Anastasi, VP News, USA Today Network, Tennessee pointed to importance of the Indianapolis Star’s investigative coverage of U.S. Olympic gymnastics doctor Dr. Larry Nassar, which stands out in a time of local news outlets’ survival uncertainties. Anastasi said that USA Today leverages its local/national symbiosis on to inform some of its stories. He cited the brand’s coverage of the opioid crisis across all platforms—and with national, local, and individual ramifications. The comprehensive coverage was made possible through a sponsorship from BlueCross BlueShield of Tennessee. In addressing financial sustainability in non-profit journalism, ProPublica President Richard Tofel noted significant growth in donation-based revenues since the 2016 U.S. presidential election. The non-profit model seems to be working for ProPublica as Tofel said that they launched with a staff of 25 nine and a half years ago and now number more than 100. 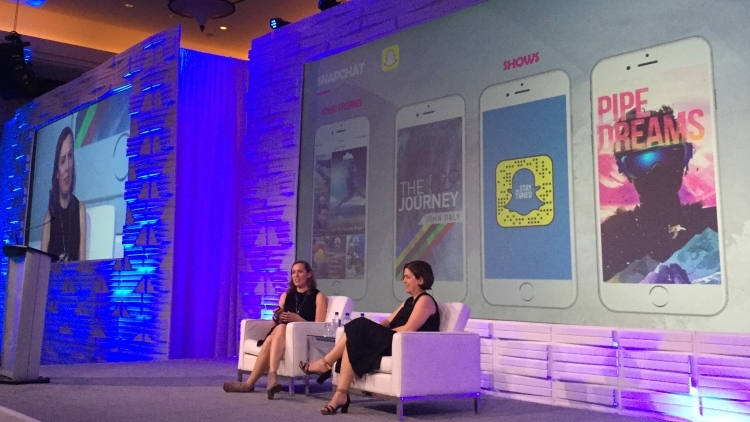 Maggie McLean Suniewick, President, NBCUniversal Digital Enterprises, showed off the many ways the company’s Olympic coverage is tapping into a wide range of platforms to engage target audiences wherever they might be. Bloomberg Media’s initiatives include global partnerships that help it transcend the competitive U.S. market according to Scott Havens, Global Head of Digital, Bloomberg Media. And The Washington Post has launched 15 products specifically designed to engage consumer interaction according to Jarrod Dicker, The Post’s VP of Innovation and Commercial. The History Channel is leaning into new platforms and partners with The New York Times on stories and photo spreads. Sean Cohan, President, International and Digital Media, A+E Networks said that the company is seeing doubled social engagement, significant newsletter interest, and substantial boosts in YouTube video revenues. Marty Moe, Vox Media President, said his company focuses on finding ways to grow quality, scale, and audience across its eight brands while retaining relevancy on each platform. However, diversification brings challenges such as tracking and measuring performance on multiple platforms, noted Christy Tanner, EVP & GM, CBS News Digital CBS interactive. Dr. Jens Mueffelmann, CEO, Axel Springer Digital Ventures GmbH, President, Axel Springer USA, said his company’s success in global acquisitions is based on later-stage investment, development and partnership. While its successful classified ad profits have stunned critics, Mueffelmann urged companies to “stay paranoid” and continue to keep a close eye on emerging digital technologies and players. While challenges in trust, brand quality, disruption and diversification continue to throw roadblocks up in the news and entertainment industry, Kint emphasized that for DCN members, there is strength in numbers, citing The New York Times’ subscription victory as a victory for all DCN members because of what it symbolizes for the industry. At the core, DCN members are focusing on what they do best and continue to innovate and experiment in order to best serve audiences. According to a recent survey conducted by the University of Pennsylvania’s Annenberg Public Policy Center, more than a third of Americans can’t name any of the rights guaranteed by the First Amendment (check your knowledge here). So, perhaps it’s not surprising that we are seeing a rise in negative sentiment and action against the press here in the U.S. Yet press freedom is essential to a democracy. The public must be informed so that they can actively participate in the governance of their community and country. 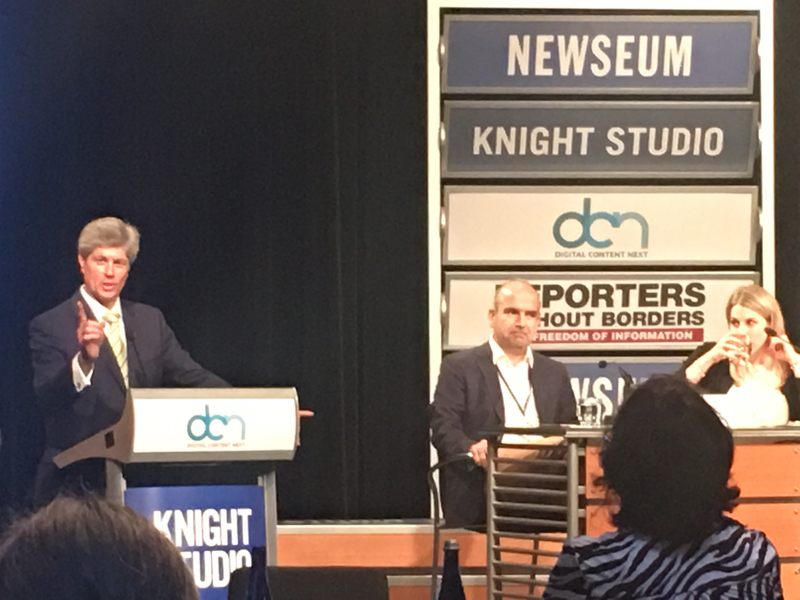 In his opening remarks at a press freedom event co-hosted on September 13rd by the Newseum Institute, Reporters Without Borders, and Digital Content Next, Nebraska Congressman Jeff Fortenberry remarked on the average American’s lack of familiarity with many of the foundational principals of our government. It is easy, he suggested, to become complacent and shirk the obligations that come with democracy. “Rights are inextricably intertwined with responsibility,” Rep. Fortenberry said. He reinforced the need for individuals to take an active role in government, but also pointed to the responsibility of the media to represent the interests of all Americans and varied viewpoints in order to meet their responsibility to inform the public. The Turkish President enlisted the court system to help the government take control of the paper and initiated a police raid on the headquarters. Tear gas and water cannons were used to quell protests against governmental control of the media. Newseum Institute COO Gene Policinski pointed out that Turkey was once viewed as a beacon of hope for democracy in the Middle East. “Turkey was not a perfect democracy, but it was on the way,” said Bilici. His careful breakdown of the dismantling of press freedom in his country and how it sped up destruction of its budding democracy was certainly a warning to all in the room. Another panelist, Tim Crews, editor/publisher of The Sacramento Valley Mirror, said that his journalists have been threatened on numerous occasions both online and in person. He has also experienced censorship and an uneven application of the law when it comes to prosecuting those who threaten or assault members of his staff. Mengesha also sees that the danger goes beyond the threats to journalists themselves. “People are afraid to talk to the media; they are afraid to use their own social media accounts [to discuss news].” This, she says, strips citizens of their basic right to being informed about what is going on in their own country. Governments in different parts of the world have shown a willingness to block social media platforms and even shut down the internet to stem the spread of information, as Margaux Ewen, Advocacy and Communications Director for Reporters Without Borders pointed out. She also noted the disturbing pattern of harassment, doxing, and outright threats made to journalists via social media channels. Indeed, the participants—speakers, panelists, and attendees of Press Freedom: Lessons Learned From Around The World—would all agree that open discussion is essential to shoring up this key aspect of equitable government here and abroad. Yet even as the event was being arranged, Mexican journalist Martin Mendez Pineda, who has received death threats for his work, was denied a visa to participate. According to Ewen, the program was not deemed “important enough” to allow him to enter the United States. It’s a brave new world. As the media companies experiment with quickly-advancing technology amid the duopoly of Google and Facebook, tight competition antiquates the notion that only “content is king.” In the meantime, according to the 2017 Edelman Trust Barometer, consumer faith in four pillars — NGOs, business, media and government — fell since last year, with the trust in press falling the most. But challenge also presents opportunity. Through careful planning and innovation, Digital Content Next (DCN) CEO Jason Kint believes that DCN’s members are in a unique position to find success. The key? Building and sustaining trust — not just in news, but also in brands. As Kint pointed out during DCN’s members-only Next: Summit, held Jan. 19-20 in New Orleans, it is “universally understood” that trust arises under conditions of uncertainty and vulnerability. “I believe that there’s never been a better opportunity to create trust with consumers and advertisers,” Kint said. 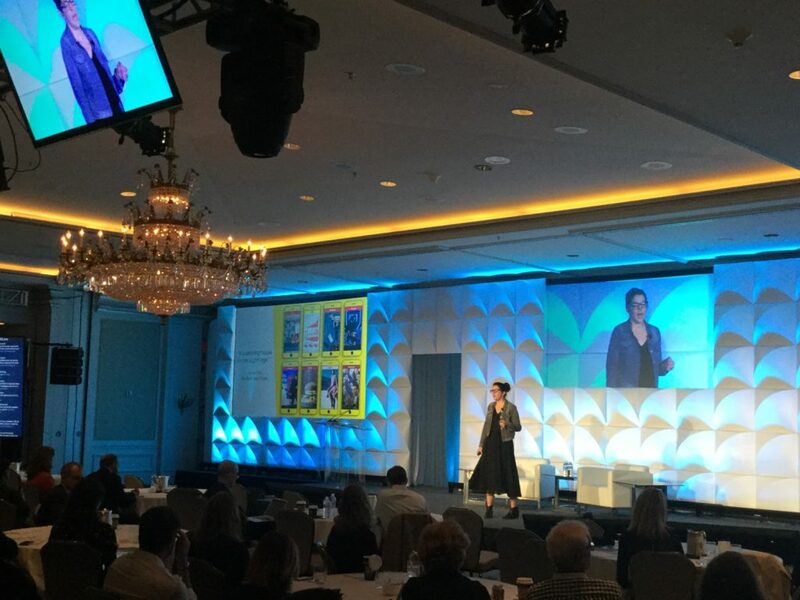 Over two days, amid a backdrop of the French Quarter in the Crescent City, Summit speakers urged focusing on brand, product and shared community-centric experiences to allow companies to survive, and even thrive, amid shifting media sands. This theme continued, from the kickoff by Harvard Business School professor Bharat Anand, who explained how connectivity promotes loyalty during digital change, to a closing session about how to manage a subscription business amid wide-spread content distribution on third-party platforms with Kinsey Wilson, Editor for Innovation and Strategy at The New York Times. 1. Embrace change — even if it means being radically different. So-called “best practices” may be antiquated and dangerous to follow. In the current environment, it can pay off to establish a unique identity. 2. Dare to examine paid subscription. Don’t be afraid to demand more for higher quality. According to Wilson from The New York Times, by its nature quality journalism “has always, in some form, been subsidized.” Testing a “leaky” paywall can both generate revenue and be flexible enough to drive conversation on social platforms. 3. Diversify. Creativity can be harnessed to drive additional revenue. Ultimately, all of the DCN Next: Summit’s major themes circled back to that audience relationship and, above all, maintaining their trust. “Sometimes called consumers or audiences…for us, fans are the north star,” Martin said. And that mindset is a healthy one that should guide this industry forward. There’s a whole lot of talk about content these days, but the bottom line is that great storytelling is what elevates mere information into the stuff of conversation, inspiration and maybe even viral sensation. The newest addition to the roster of DCN’s member’s-only gatherings—Powerful Storytelling—offered a morning filled with examples of just that. And while it was our first event to focus squarely on the more creative aspects of the business of content, it bore the hallmark of all of our events: DCN members provided candid insights into the strategies and creative process behind the content that people love. Though the content itself, and the insights proffered, were far-ranging, one major theme emerged: the importance of experimentation. While most storytelling fundamentals remain constant, distribution channels, devices, and consumer preferences are among the many factors in near-constant flux. Certainly, that poses challenges. It also offers opportunities and the creativity the speakers highlighted showed a universal spirit of experimentation—in organizational structure, partnerships, and use of emerging tools—to better connect with consumers. The day started off with Jake Silverstein, New York Times Magazine Editor-in-Chief, presenting their early forays into virtual reality. Silverstein encourages experimentation with the medium because of its ability to enable viewers to feel empathy by literally seeing through the eyes of a child refugee, for example. And while one audience member noted that virtual reality (one of the most hyped storytelling mediums du jour) lacks some of the qualities that make text so evocative such as the sense of smell or setting a larger context for a story, Silverstein emphasized that VR offers a whole new way to experience a story. Consumer Reports Executive Director of Content Gwendolyn Bounds said that experimentation is an essential piece of the transformation the brand is currently undertaking (which begins to roll out next week with a new logo and aesthetic enhancements on both its website and in the November issue of the magazine.) She says they are trying a number of new story formats, including unique social and mobile content, and 360-degree video—one of which puts users into the driver’s seat of CR’s lauded automotive test process. Further innovations will emerge when the brand moves to a “membership” model in coming months. In a crowded landscape, Bounds points out that content brands need to experiment in order to find the right way to make their storytelling distinct. She also said that it is important to continually test the types of content that their consumers will “give them permission to address.” In the case of Consumer Reports, an example was its “A Beautiful Death” package, which focused on the many aspects and issues surrounding consumers’ choices around end-of-life issues. “Experimentation is critical” at Business insider, according to recently-promoted Editor-in-chief Alyson Shontell. In addition to testing out short synopsis-style recaps of long-form articles and captioning slideshows and videos on the images so they can be consumed without sound or accompanying text, she said they’ve also been playing with multiple headlines/versions of a single story. “If you have someone who says 12 different things that could be headlines, we break it out into short takes that may collectively get far more views.” And why not? “Because a digital publication should have its own set of rules” not follow the path of television or print. Kicking off his talk with images reflecting the Financial Times’ historic love of the text-dense page, Data Visualization Editor Alan Smith said he has found a great willingness from the FT and its staff to experiment with ways in which data can be transformed from mere line- and pie-charts into an in-depth storytelling medium all its own. 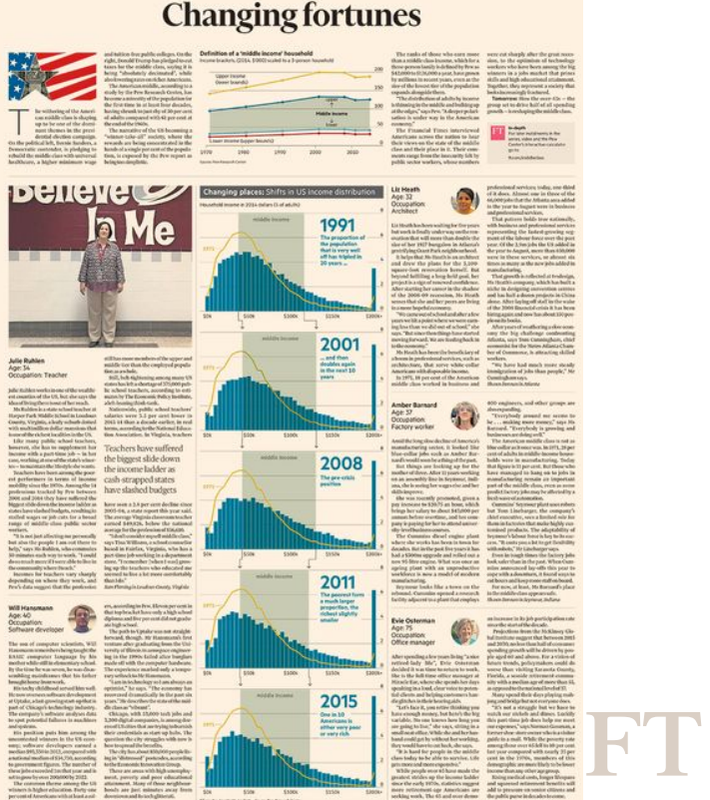 To do so, you need to truly understand what the data is really about and then he said you can play with presentation so that “graphics take on a life of their own” and can effectively communicate far more than numbers: what those numbers really mean to those involved in the story and to those reading about it. Certainly, one of the day’s most enthusiastic champions of experimentation was Mike Yapp, Director of Google’s YouTube in house agency, The Zoo (pictured, top). He believes that content is becoming increasingly “liquid” and that it is constantly being transformed by the users themselves. Thus, Yapp said “writers and designers need to think more like inventors” in order to create content ready-made for increasingly malleable, immersive and experiential consumer experiences. Noting that the first wave of virtual reality content innovation created experiences were just for one person, he said that future innovations will include shared VR experiences. 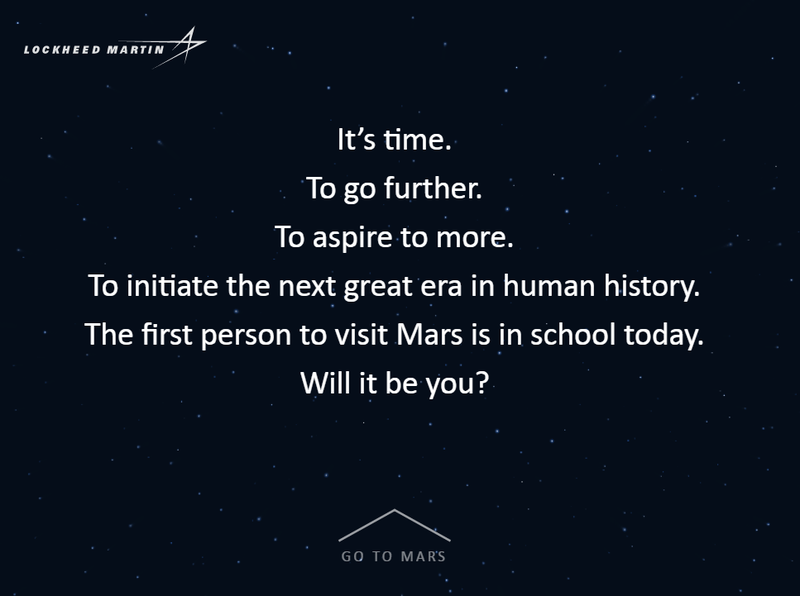 For example, his team worked with Lockheed Martin to create a VR experience for children who collectively experienced a VR visit to Mars while riding on a school bus together. The goal was not simply to push the bounds of VR from single-user experience to one that is social, but to employ innovative storytelling to ignite the minds of children so that they can go farther than ever before. For the Creative Director of The Independent Journal Review, Benny Johnson, experimentation drives the site’s entertaining (and often irreverent) news coverage. When asked how he gets politicians such as Marco Rubio and Lindsay Graham to participate in creating such viral hits as “How to Get Revenge with a Football” and “How to Destroy your Old Cell Phone,” Johnson said “we’re in a special time where politicians from the highest levels to local levels are experimenting with how to engage the public” and, he said, content companies should too. Yet Johnson expressed a point that also recurred throughout the day: Technology is a storytelling tool, not an endgame. “You need to do more than express the fact that your company has the technology,” he said. It is essential to tell a story so powerful it transcends technology. According to our latest research, engagement with known brands is boosted when consumers encounter them on favored social platforms such as Facebook, Instagram, Snapchat and Twitter. At DCN’s most recent member’s-only event, Content Everywhere held May 10th in New York, Andrew Hare, Senior Director, Research and Strategy at Magid (which partnered with DCN on the study) previewed the 2016 DCN Content Distribution Impact Research report. The good news is that, thus far, social is additive, not cannibalistic of consumers’ content consumption on brand sites and aps. While Hare alluded to an eventual tipping point—in which consumer attention reaches maximum overload—he said that today, distributing content via social channels builds traffic through brand discovery. However, as DCN CEO Jason Kint pointed out in his opening remarks “attention is the scarce resource that matters long term.”. So media brands must approach social wisely in order to receive fair value for their content in social contexts. And, with both the promise and challenges in mind, a wide range of speakers from DCN member companies, as well as invited industry guests, discussed topics ranging from staffing and resource allocation for social media, to deep dives into strategies for specific platforms, and measuring the impact of social distribution. And looking for the applicants with the highest follower counts is not the way to go about hiring, according toVox Director of Programming Allison Rockey who noted these individuals are terrific at building their personal brand, but may not be the best at building yours. In fact, Rockey suggests starting with a 140-character cover letter and finding people who genuinely love your brand. That said, Rockey (and others) pointed out that there are platforms such as Snapchat that require specific skill-sets. This was reinforced by Amy Lawless, the VP Digital Strategy & Planning at Scripps Networks, which boasts a 10 person Snapchat team that produces 14 pieces of content for the platform daily. While the New York Times has tested platform-specific staffers, they’ve found that having photo editors and headline writers who are adept at social is more effective, according to Jason Sylva, Executive Director of Digital Media. The Times and others like to see staffers with social media expertise working with writers and editors to help them hone their skills so that a broader cross-section of staff become adept at creating content for different platforms. 2. Engage (and re-engage): Because there’s currently no easy way to get a clear view of measurement across the many social platforms publishers must carefully consider metrics when it comes to social content distribution.Keith Hernandez, President at Slate, says it is essential to analyze the performance of specific content in order to optimize for specific platforms and continue to look at how people interact with the content over time so that you can deliver sequential experiences that deepen engagement. With branded content specifically, Hernandez says that Slate has been able to build “audience pools” in social which are much more likely to be interested in specific types of information. 3. Build audience affinity: While reaching massive audiences is the primary driver of media brands’ social content distribution efforts, click-throughs and page-views do not tell the whole story. Though Plotz believes that social played a large part in growing his audience sevenfold in the past year, the company’s ability to drive audiences to its live events provides a context in which Atlas Obscura becomes indelibly branded. Lawless says that Snapchat has provided Scripps Networks with an opportunity “to develop a relationship and brand affinity with younger viewers so that as they age up, they have affinity with us.” Jonathan Meyers, Senior Vice President, Strategy & Operations at CNBC Digital says that social has offered a context in which his brand can connect with younger audiences as well. “Millennials are something like three times as likely to start a business” so he focuses evening content for social on entrepreneurship. Universally, the speakers and the attendees from DCN member companies that participated in the Content Everywhere member day are all embracing social platforms with a careful eye towards maintaining brand value and strategic resource allocation. As new platforms emerge, publishers are focusing on lessons learned from ongoing experimentation to make social work for audience building, brand affinity and—of course—revenue. 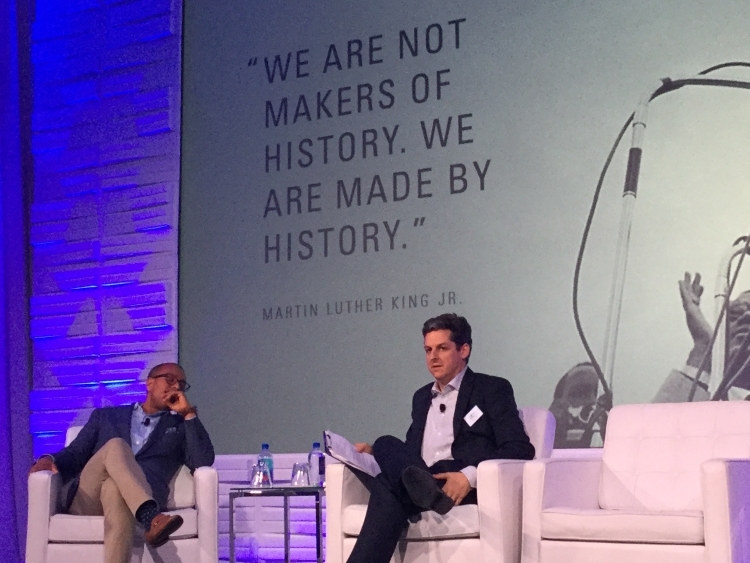 In kicking off the 2016 Digital Content Next members-only Summit, CEO Jason Kint set the tone for a year marked by customer-driven innovation and a trust-based digital content industry. With audiences widely dispersed among mobile and social apps – and, soon, virtual reality and augmented reality experiences– publishers who want to thrive must both follow consumers where they want to go and meet them on their own terms. 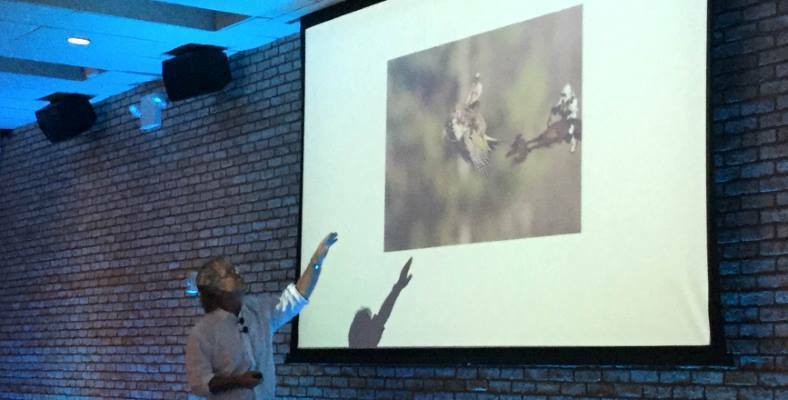 These were a couple of the themes that emerged from the wide-ranging conversations at Digital Content Next’s annual members-only Summit 2016 in Miami. DCN members met to explore content and business models given that consumption patterns are constantly changing, many consumers are actively avoiding advertising, and digital intermediaries are extracting much of the value out of the publishing economy. Speakers and attendees talked about changing their relationship with programmatic ad marketplaces, seeking alternative sources of revenue from subscriptions and memberships, and aggressively pursuing revenue diversification. In his opening remarks, DCN CEO Jason Kint noted that although the Interactive Advertising Bureau recently celebrated the milestone of $50 billion in revenue generated by online advertising, more than 50% of the revenue currently goes to two companies: Google and Facebook, with premium publishers collectively garnering about 15%. “It’s a symptom of a bad user experience – users taking action on their own,” agreed Justen Fox, senior product manager for revenue products at Vox Media. Consumers are weary of pop-up and pop-under ads, not to mention advertising that contains malware. He finds that the use of ad blockers is higher with social and referral traffic, undermining audience acquisition, and said it’s also higher with returning visitors to Vox’s websites. If publishers and advertisers fail to clean up their act, the problem will keep getting worse, he said. “Focusing on the user experience is actually the long-term solution,” Fox said. However, no publisher can do it alone because consumer impressions are formed by the experience they get across all media sites. Sarah Frank, executive producer of Now This News, said that killing their website and forgetting about SEO is the best decision they ever made. It gave them the mandate to create content experiences optimized for different social channels so that consumers have a great experience wherever they find Now This content. Meanwhile, marketers seeking to distinguish themselves from the bad actors in digital media are increasingly creating their own content to build positive customer relationships—with or without the help of publishers. 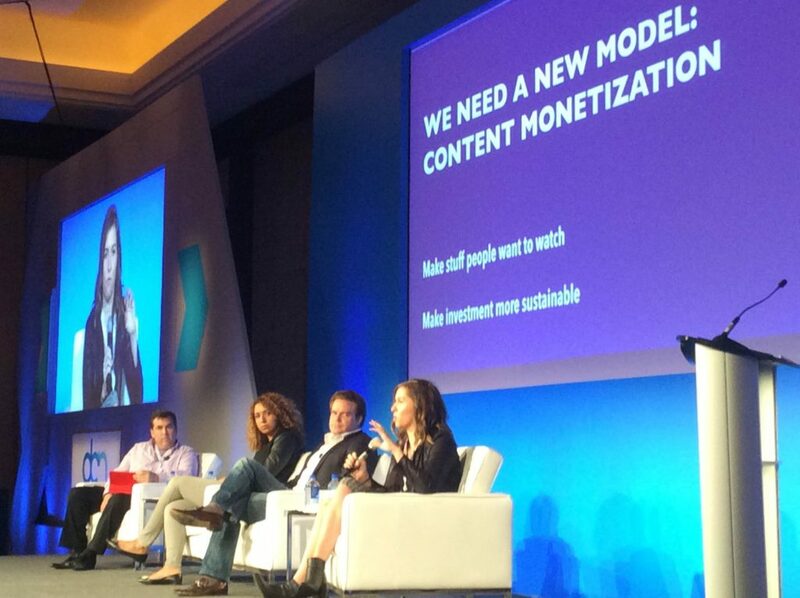 “We’re trying to figure out, how we stop interrupting the content and become the content,” said Laura Henderson, global head of content and media monetization at Mondelez International. Her group has gone as far as to decide the content it creates ought to be good enough to make money on its own merits. One of the products from this division of Kraft Foods, the Oreo Twist, Lick, Dunk mobile game, made back 2.5 times the money spent to produce it, with about 5 billion virtual Oreo cookies dunked, Henderson said. Like publishers, marketers “feel the pain of ad blocking, of our content being skipped, blocked, avoided at all costs – which means we need to figure out a new way,” she said. Katrina Craigwell, director of global content and programming at GE, leads a team dedicated to connecting with lovers of science and technology on any medium or platform where they can be found. These content creators compare themselves less with their traditional industrial competitors than with media sites that create engaging tech content, be it the SyFy Channel or the people at NASA who produced the “7 Minutes of Terror” Mars lander video. Asked if she had any use for publishers now that GE can publish its own content, Craigwell said she looks for partners who know how to tell a great story or can help the firm figure out an approach to emerging formats, such as virtual reality. Many of the discussions of how publishers adapted concerned how they preserve their brand value while adapting to new business and content delivery models. The Onion Chief Operating Officer Kurt Mueller said that is something the satire site has had to be careful about with its experiments in native advertising: content is sponsored by advertisers but produced by the editorial staff. The challenge is readers expect a certain attitude from Onion content, “and if we don’t give it to them, it comes off really badly for both us and the brand. You’re just creating ads if it’s not authentic to what you are,” Mueller said. David F. Carr is a writer, editor, web consultant, and student of digital business. He is a Forbes contributor, a former InformationWeek Editor-at-Large, and the author of Social Collaboration for Dummies. 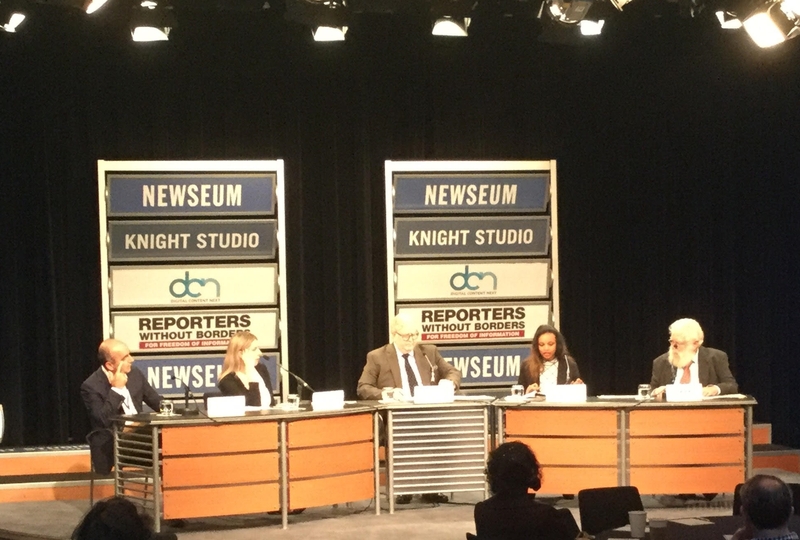 Below is a summary and video from DCN’s “The Consumer Rules: Lessons From Ad Blocking” event, held December 16, 2015 at the Newseum in Washington D.C. Parts 1 & 2 can be found here. Following a panel discussion, Jason Kint, CEO of Digital Content Next interviewed FTC Commissioner Julie Brill about lessons learned from Ad Blocking (full video at the end of this post). 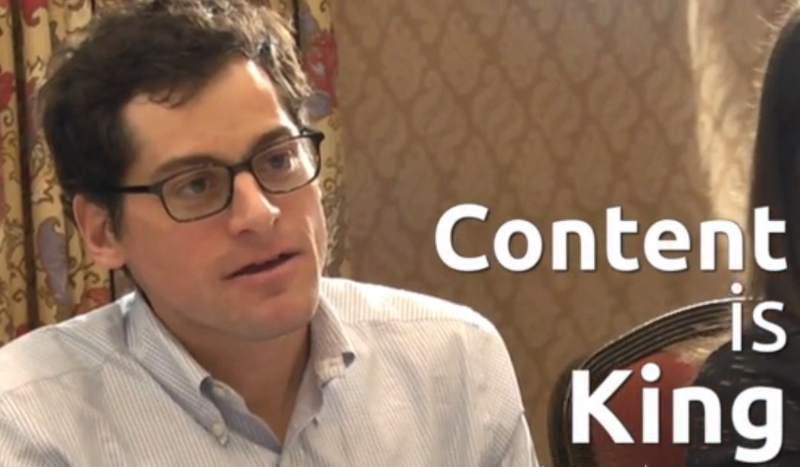 The interview started off with defining “consumer harm,” with regards to online content. Brill said the definition includes financial harm, but has broadened to include access and use of information in unexpected ways. She said the FTC always tries to think of online behavior from the consumer perspective and to consider whether the way in which companies collect or use information cause real, tangible harm. She went on to cite several actual FTC cases to illustrate how the FTC interpreted the harm caused to consumers. There is, it appears, a common thread between consumers clearing cookies to protect privacy, that moved on to the desire for a Do Not Track browser option, to what we now see: consumers opting out of advertising entirely through ad blocking. This progression offers a great encapsulation of how the notion of privacy has changed, according to Brill. While privacy is the number three issue consumers cite for blocking digital ads, she pointed out that this is still high on the list of reasons and must be taken seriously. Brill has seen the definition of privacy change over the years: It used to be about seclusion, being able to withdraw from society. Today, privacy has become about being able to control with whom you are communicating and how you are communicating. She said that it is important to keep in mind this notion of control as we create content experiences online. Brill and Kint dug into the myth that younger people don’t care about privacy given their willingness to share a great deal of information about their lives publically. As demonstrated by the popularity of apps like Snapchat, this openness has limitations that need to be factored in. Kint then queried the FTC’s possible role in monitoring the white listing practices of ad blocking companies. Brill made it clear that she couldn’t comment on specific companies’ actions. However, she pointed to the Google Safari case in which it circumvented Apple’s cookie blocking as illustrative. It is important, she said, to look at cases like that in which one company is trying to circumvent what another company or consumer is doing. When the consumer has made a clear choice, she said, that choice should be honored and if you do circumvent that choice it needs to be communicated clearly and in a non-deceptive manner. And, at the same time, if you are an ad blocker, you do need to be clear about what you are doing. If you are charging, you need to make that clear up front. According to Brill, the advertising industry needs to be much more transparent with consumers, however a lot of the advertising players are non-consumer facing and many consumers don’t know what an ad network is, or an analytics firm. She said we need much better tools to enable this transparency, whether it be more immersive portals that let consumers understand what is happening with their data, or better controls or better just-in-time notices. Brill cited the Ad Choices program sponsored by IAB as a good first step, but said that the execution remains problematic. The ad industry, she emphasized, needs to be more transparent and creative in giving consumers control. While there’s a common industry perception that the consumer owes something to the site their viewing and that their payment is to look at the ads and to understand the value exchange, Brill thinks that is completely different than the way the consumer understands this exchange. What she hopes will happen online as a result of “the ad blocking wars,” is that advertisers will say we need to engage consumers more, we need to make them want to watch ads. It is essential, as Brill pointed out, to look at advertising from the consumer perspective: The consumer is not going to sit and look at ads that are disruptive, untrustworthy, that are gathering a lot of information about them just because publishers and advertisers think they should. Advertisers have to gain their trust; they have to gain their engagement. She also cited the practice of pitching consumers’ web searches back to them as advertisements as disrespectful of them, which she illustrated through searches for medical information. Kint has often advocated a Do Not Track standard as a way to put control into the hands of consumers about what data is collected and how it is used. Brill said that it is too bad that the many people who were involved in the initial W3C discussions about Do Not Track lacked a crystal ball to see what has been the result of not having a robust Do Not Track system early on. It would have led to more trust, and would not have taken us to where we are now. In response to a question about European Union Safe Harbor laws, Brill said she spends a lot of time talking to her European counterparts because there’s a lot of misunderstanding about how robustly the U.S. engages in privacy enforcement and how robust our laws are. She also talked about the need for developing a new data transfer mechanism to replace Safe Harbor and the need to do it quickly. Brill said that a solution needs to be put into place to enable the free flow of information between continents. It needs to focus on how protective it is, not avoidance of liability. It needs to focus on the principles that underlie it. Ultimately, the FTC needs to be able to easily protect Europeans’ data, as well as that of Americans. The discussion was then opened up to audience Q&A. Below are summaries and video of Part 1 and 2 of DCN’s “The Consumer Rules: Lessons From Ad Blocking” event, held December 16, 2015 at the Newseum in Washington D.C. Part 3, a fireside chat with FTC Commissioner Brill can be found here. Jason Kint kicked off the event “The Consumer Rules: Lessons From Ad Blocking” by framing Digital Content Next’s interest in the ad blocking issue—as an organization that exclusively represents digital content companies who have direct, trust-based relationships with consumers and advertisers. While he made it clear that advertising is certainly not the sole revenue channel for DCN member companies, he pointed out that for all members—who compete on the same digital devices across the same pipes—digital ad revenue is an important piece of the future. Given that, as Nielson reports year after year, digital advertising is one of the least-trusted forms of advertising, it is clear that there is a fundamental problem that’s leading to distrust of digital advertising. And a growing number of consumers are opting out of advertising by blocking ads wholesale, thereby removing the major revenue source for digital content. Kint pointed to Adobe / PageFair research which brought the growth of ad blocking into the spotlight as well as recent DCN research, which looks at consumer plans to adopt ad blockers. Some of the primary reasons for consumers choosing to install ad blockers, according to the DCN Report, include: intrusive advertising, concern about behavioral tracking and data collection, speed and performance of the web (particularly on mobile). While Kint said the entire industry does need to think about performance and experience, we also need to keep a close eye on privacy concerns. Digiday staff writer Ricardo Bilton then moderated a panel featuring Jed Hartman, CRO of the Washington Post, Heather West, senior policy manger of Mozilla, Fatemeh Khatibloo, principal analyst at Forrester Research, and Ben Barokas, CEO of Sourcepoint. Among the panelists, only one said that they do not run an ad blocker: Hartman. West said that she installed one out of pure frustration based upon a poor experience at a single site, a type of behavior she described as “the nuclear option.” Not surprisingly, Khatibloo gave her reason as a desire to block data collection whereas Barokas’ cited the need for a comprehensive understanding of ad blockers as essential to his business. He also said that there’s only upside for consumers who install ad blockers today. However, Hartman—the lone holdout among the panelists—pointed out that if these panelists represent a growing and ongoing trend, many “household name publishers will close their doors.” And that, he said, is not ultimately good for the consumer. To forestall this trend, the Washington Post has invested in research on consumer ad experiences that will continue to support the creation of content they rely on. the user will consume the advertising to subsidize that experience. Media companies, according to Khatibloo, have been poor communicators with consumers, particularly about the data collection that is going on, but she also admitted that it is very difficult to do. Mozilla’s perspective, said West, is not about ad blocking. Instead, it is about content neutrality that is based upon openness and transparency about how Mozilla makes the distinction about bad content, whatever the source. She also agreed with Khatibloo’s point that there’s a need for better communication between consumers and publishers and believes that Mozilla is in a good position to help enable this process. Things are going to change radically over the next few years, according to Hartman who is hopeful there will be a more “surgical approach” to ad blocking in the near future. And he believes that if many publishers work hard to improve ad experiences and mobile load times, adoption can be slowed on mobile. Khatibloo countered that even premium publishers are doing an “atrocious job” on mobile advertising and that it eats up consumers’ data. the trouble is that even premium publishers are doing an atrocious job with mobile advertising. that they need in order to be able to create quality content profitably. While several panelists touched upon the dubious “white listing” practices of ad blocking software companies, Khatibloo mentioned the constructive approach of the EFF’s proposal to white list sites that adhere to what it deems to be appropriate consumer protection guidelines. She also believes that the time is right for micropayments, which give consumers the clear option to compensate publishers while pointing out that the level of revenue is not likely to make up for the loss of advertising. Hartman raised the question of whether advertiser desire for data may be driving ad blocker adoption. Big Data, he pointed out, has been one of the big innovations in advertising, yet it is a challenge in the ad blocker community and makes conversations with marketers very difficult. We haven’t talked about advertisers yet, but they wield enormous power… Big data has been the trend. Looking to the future, Hartman expressed the opinion that we’ll see a change in advertisers’ perspective once there aren’t enough eyeballs available via digital advertising because of ad blocking. Meanwhile, he said publishers will start to “clean up their act” and focus on creating better digital advertising experiences. This week, we released our 2015 DCN Ad Blocking Report which shows that 33% of U.S. consumers are very likely or somewhat likely to try ad blocking software in the next three months. Coupled with research by Adobe and PageFair that showed a 41% increase in the use of ad blocking from 2014 Q2 to 2015 Q2 it’s clear we’re seeing a steady, significant rise in consumers using ad blocking software. Interestingly, Doc Searls notes that ad blocking (which he calls “the biggest boycott in human history”) started spiking right around the time that Do Not Track (DNT) signals began to be ignored. As we’ve written before, we think consumers have been actively searching for ways to control their online experience and better protect their privacy. They started with clearing cookies, then enabling DNT and now they’re blocking ads altogether. As our research and that by others has noted, ad blocking software meets a number of consumer needs, a major one being poor online experiences due to advertising. Some ads can be intrusive and annoying and pages load much faster without ads (much less endless third party calls). Consumers are also concerned about their privacy and are looking for better ways to opt out of having their data collected with little transparency. Consumers are concerned about their security and the various unknown entities having access to and potentially compromising their devices. While meeting consumer experience needs is laudable and an important wake up call for industry, the other side of the coin may be fraught with harmful and shady business practices. As I wrote in September, ad blockers shouldn’t block conversations between a publisher and a consumer – this kind of back and forth dialogue helps the publisher better understand and meet consumer needs while it also helps educate consumers. After all, let’s keep in mind that most early adopters of ad blocking software tend to be young males (hint: I was once one of them – we didn’t always appreciate the big picture). Also, as has been reported, ad blocking companies will accept payments to whitelist ads from companies. Of course, those ads need to meet a set of acceptable ads criteria. But those criteria tend to be nebulous and interpreted behind closed doors while the payment is being negotiated, which doesn’t make for a healthy marketplace. Indeed, it is often the case that the ads that are whitelisted are text-only ads that add absolutely nothing to the overall experience for the consumer. I would argue that, rather than read any conceivable text ad, most consumers would rather laugh at a new Geico ad or mock one of Matthew McConaughey’s ethereal, self-indulgent car commercials, especially if that ad was stripped down to a minimum of 3rd party tags and did not track me across the web. Regardless of what ads should be shown or whether they should be shown at all, I think we can all agree that disrupting an important dialogue between consumers and publishers and shaking down publishers to whitelist ads are not the hallmarks of a healthy ecosystem. It would be helpful for the Federal Trade Commission (FTC) to examine whether these business practices and agreements are undermining the ability of content creators and consumers to find a value exchange that works for both. The FTC plays an important role in keeping our industry healthy by working with good faith actors to establish best practices, shining a light on new, emerging technologies and bringing enforcement cases to end shady business practices. Needless to say, these issues are top of mind for DCN and the premium publishers we represent. We’re looking forward to an opportunity to explore this topic, among others, at our December 16th event The Consumer Rules: Lessons from Ad Blocking. It will be held at the Newseum in Washington, DC from 8:30 to 11:00 AM on Wednesday, December 16. Because solving the issues causing and caused by ad blocking requires wide ranging participation, we’re hosting an interactive discussion featuring Jed Hartman, Chief Revenue Officer of the Washington Post; Heather West, Senior Policy Manager, at Mozilla; Ben Barokas, CEO of Sourcepoint; and Fatemeh Khatibloo, Principal Analyst at Forrester Research. Following the panel, we will have a fireside chat with FTC Commissioner Julie Brill. It should be a lively discussion; it is certainly an important one. Revenue diversification is the final topic in the three-part series taken from our invite-only dinner The Next Conversation—an event we hosted inside the Digiday Publishers Summit in Vail, CO on March 26th. It’s a topic we think and talk a lot about with our members—from podcasting to events to eCommerce and subscriptions – digital content companies are well aware that advertising won’t fully pay for the great content of the future. And one clear take-away is that all forays into new streams of revenue must align with and complement one’s brand. Context matters.